The Johor Arts Fest is back! I don’t know about you but I’m marking my calendar to go to as many of the shows and activities lined up in the 15th Johor Arts Festival, across the month of September. When I received my copy of the festival flyer, the first thing that strikes me is the familiar style in the arty rendition of the Warrior, the image of the 15th JohorAF. The bold strokes, bright colours and favourite shade of blue, are distinguishing hallmarks of the work by multiple award-winning Johor artist and designer, Mulo. Just as the JohorAF is presenting a cast of talents from across the nation in a month-long programme, I’m glad that talents like Mulo and other local artists, are also being highlighted in the fest. I especially liked how the festival flyer has a single-page calendar for me to read about the events, at a glance! My eyes search for the details of where all the events will be happening and I discover the official venue of the 15th JohorAF is The Puteri Pacific JB with the bulk of the shows presented in the hotel’s Permata Ballroom. mmm… I must say that the shows in this year’s programme are wide and varied and there is really something for everyone in the free and ticketed events, organized in the theme, Stories, shared through music, dance, theatre, poetry, comedy, visual arts, photography, fashion and film, and even food! There are two Photography Exhibitions: Border/Less and Selat Johor: A Visual Collection, open daily from 10am to 7pm at the lobby of The Puteri Pacific Johor Baru, throughout the fest and entrance is Free-Of-Charge. On Saturday, Sept 1, the 15th JohorAF kicks off with two Contemporary Theatre shows, the first at 3pm and later at 8pm, in the Permata Ballroom. 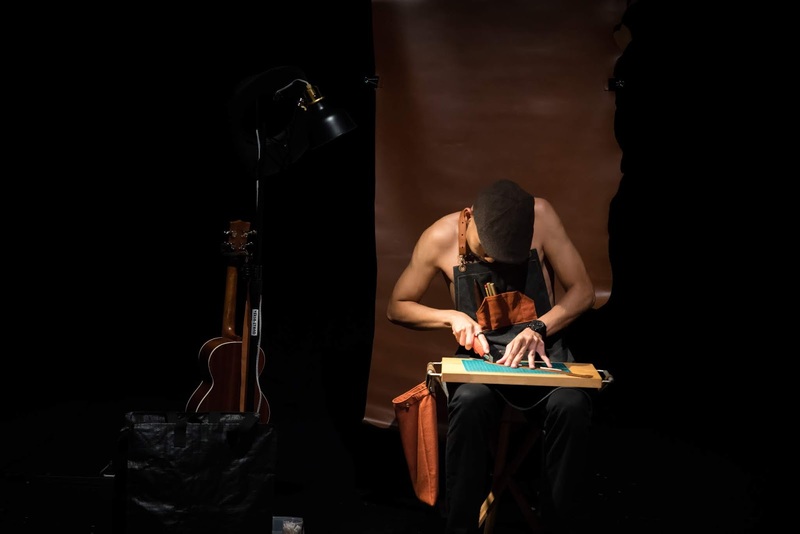 This show, Kulit On The Go, features Erwin Shah Ismail, a one-man act performed in English, Malay, Mandarin and Hokkien with the ukulele as music accompaniment. 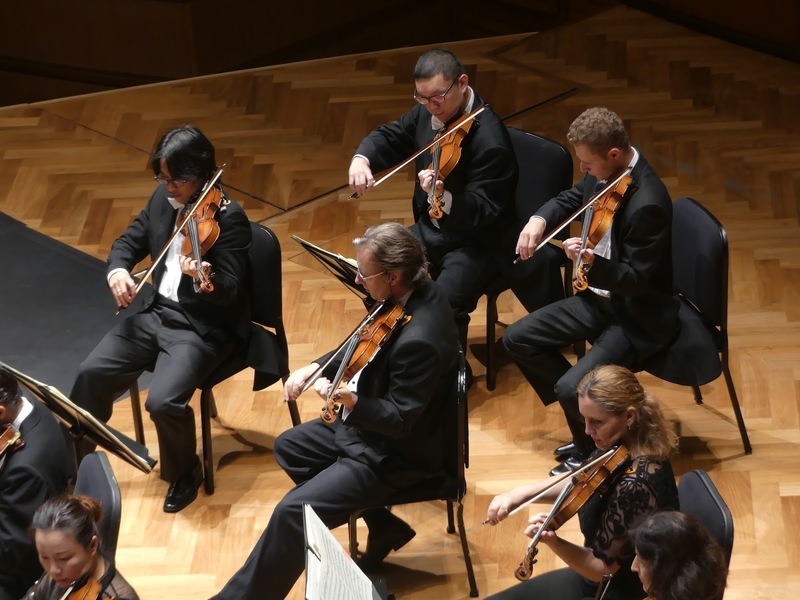 Fans of the Malaysian Philharmonic Orchestra and classical music can catch their performance of, From Mozart to Totoro, at 8pm on Monday, Sept 3, at the Persada Johor International Convention Centre. Percussion enthusiasts can join the Drum Circle, a Free-Of-Charge drumming session with the Johor Baru Happy and Joyous Club at 10am on Friday, Sept 7, at Sedap Corner JB, Jalan Abdul Samad. 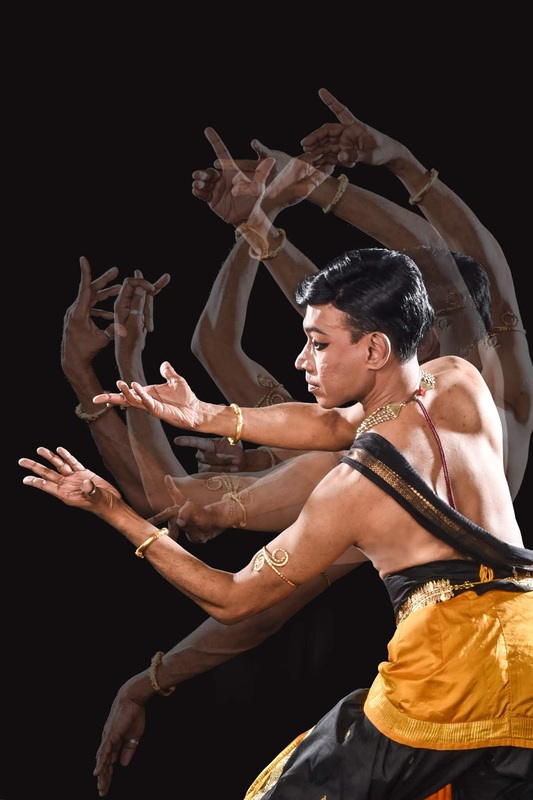 I have already penciled in 8pm on Friday, Sept 7, and will be at the Permata Ballroom to enjoy a much-anticipated performance by JB-born, internationally acclaimed dancer and choreographer, Ajith Baskaran and the dancers of the Suvarna Dance academy. Much Ado About Dance or M.A.A.D. in short, will showcase the beautiful moves of the Bharatanatyam dance that speaks through movement, melody, mime and words. Over the years, I have learnt to appreciate the beauty of this traditional performing art through enjoying many Bharatanatyam performances by Ajith and his Suvarna dancers in their academy’s annual shows. I’m familiar with how Ajith is meticulous about letting the audience have a better appreciation of this art-form and will typically arrange for a pre-show lecture conducted in English for the benefit of the uninitiated! To find out more about this talented lawyer-turned-dancer, you can read Ajith’s story which is among the Johor personalities I featured in the Portraits section of my book, My Johor Stories: True Tales, Real People, Rich Heritage! 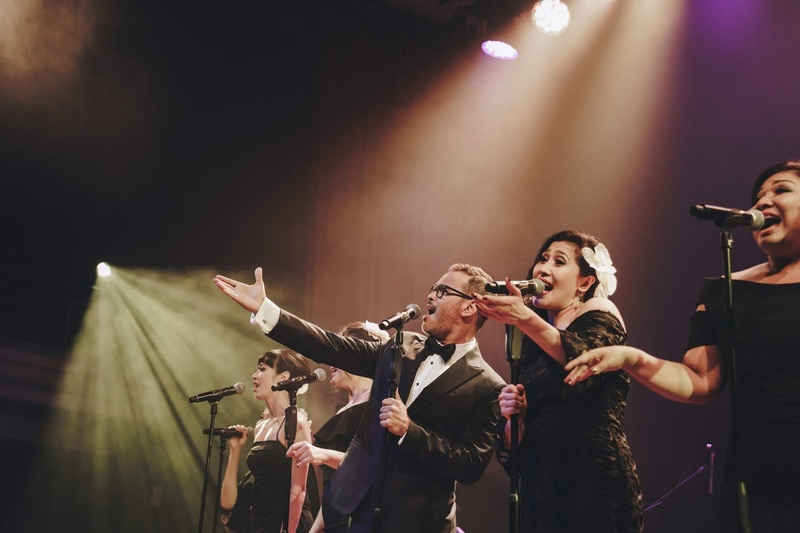 The words ‘vintage’ and ‘Big Band Jazz’ resonate well with me and conjures visions of my dad and his friends during their bachelor days. My dad, who was once dubbed the Dancing King, told me about those ‘happy days’ where they used to make their own music and create their own entertainment. So I’m definitely not missing out on, Tarakucha! a musical throwback experience featuring vocals by Sean Ghazi and Ida Mariana. I’ve carefully penciled in Sunday, Sept 9 and will be at the Permata Ballroom before 8pm, because I cannot miss this show which is touted as, “The Terrer-Menerrer Big Band Baru with a Malay Twist”. On Wednesday, Sept 12, jazz fans can continue to thrill to the music of the WVC Malaysian Jazz Ensemble with Janet Lee and Eddin Khoo who will present a musical showcase of Malayan Classics Re-Imagined in Seketika Sebelum Merdeka. I will step back in time with them to enjoy unique arrangements of pre-independent Malayan songs along with interesting anecdotes by historian, poet and Pusaka founder, Eddin Khoo. This show is at 8pm in the Permata Ballroom. Yay! 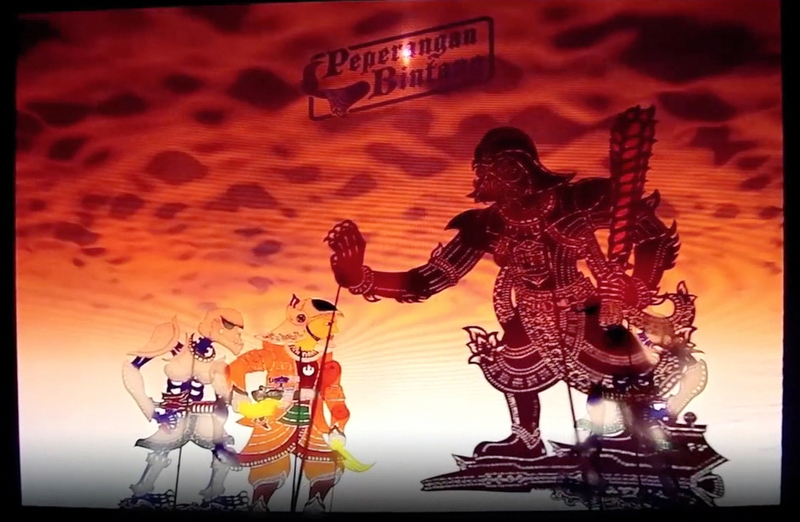 I’m glad the 15th JohorAF is presenting Fusion Wayang Kulit in the arts fest again! This exciting event is a paid Workshop and Exhibition that includes a free wayang kulit performance of Peperangan Bintang, the Malay name for Star Wars. I’ve had the privilege of meeting the creators of this iconic futuristic Star Wars adventures in a traditional wayang kulit performance, so don’t miss it on Friday, Sept 14, at 3pm in the Permata Ballroom. If food is not yet your forte, then join my friend, Tony Boey of Johor Kaki fame, and Datin Kalsom Taib, co-writer of Johor Palate: Tanjung Puteri Recipes and other guests at Sedap Corner for After Hours 2.0: Food. This free-entry forum about heritage food and its place in today’s world, will happen at 8pm, on Saturday, Sept 15. 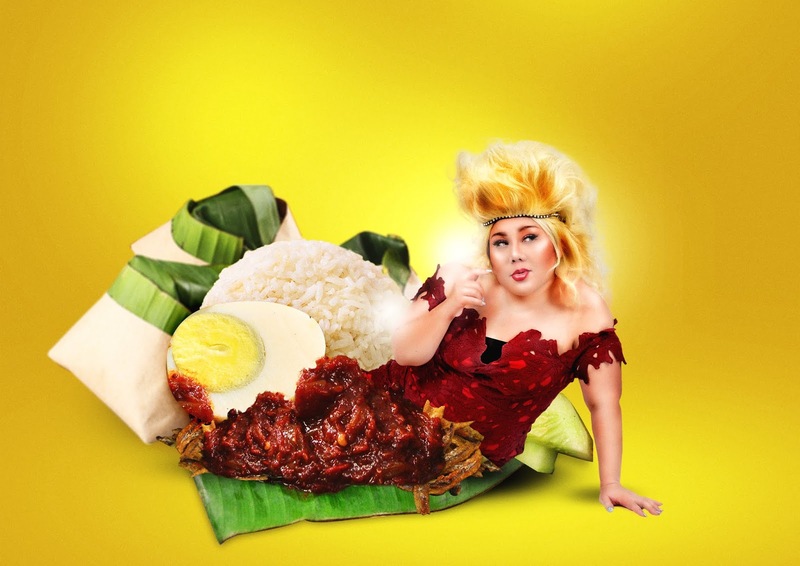 The 15th JohorAF welcomes stand-up comedian, Malaysia’s Queen of Comedy, the bold and outrageous Joanne Kam Poh Poh. Get ready to laugh-out-loud with her and enjoy her new 90-minute one-woman comedy special – Joanne Kam: La La Lian nationwide tour – at 8pm on Tuesday, Sept 18, in the Permata Ballroom. 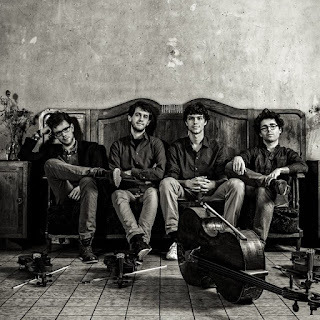 Listen Differently – this is what the Vision string quartet from Berlin invites you to do as they break barriers by fusing classical compositions with popular music! Their performance described as, “…amazingly vivacious, vivid and electrifying…” is something I cannot miss so I will be there at 8pm on Friday, Sept 21, in the Permata Ballroom, to experience why these young musicians are recognized as one of the finest young string quartets of its generation. Closer to home, the 15th JohorAF celebrates the life and work of film-maker, the late Yasmin Ahmad, who sought to bring together Malaysians of every gender, ethnicity and persuasion. Join movie buffs to revisit the stories that prompted us to think and feel what it truly means to be Malaysian. On Friday, Sept 21, enjoy the screening of her film, Sepet (2004) and on Saturday, Sept 22, her film, Gubra (2006) will be screened. This will be followed by the launch event with Yasmin’s sister, Datin Orked, for the book entitled, Yasmin I Lup Chew. Festival Director, Suzie Yap, explained that filming had started on the last film that Yasmin Ahmad was working on before she passed away. As no other director felt up to the mark in continuing to make this film, they decided to compile the script into a book. Finally, fashionistas - you must not miss Perspective: The Runway, Johor’s biggest fashion event at 8pm in DoubleTree by Hilton JB on Sunday, Sept 23. The Runway will host six fabulous designers including two who achieved international fame this year. The show will feature exclusive collections by Tom Abang Saufi, Fashion Club by Limkokwing and Lagenda from Malaysia. Guest designers include Thailand’s Sorn and India’s Ritesh Kumar, and the first runway collection by Wawal Ali, winner of Perspective: The Project, will premier in this show. The JohorAF is organized by the Johor Society of the Performing Arts (JSPA) which has a mission to encourage, develop, support, advance, create awareness and instill an appreciation for the arts in Johor through cool and relevant projects across a spectrum of artistic disciplines and genres. Besides organizing the Johor Arts Festival, the JSPA has a calendar of Festivals for Jazz, Film, Indigenous, Classical Music, Piano, Writers & Readers, and other exciting stand-alone events. The shows in the 15th JohorAF that range from visual to performing arts, exhibitions and workshops, to talks and forums, are all brought to you almost to your doorstep so don’t miss this opportunity to enjoy your own pick from this month-long fest. Facebook: www.facebook.com/johorperformingarts, Tel Hotline: 019 – 7139900. The 30th anniversary of the founding of this dramatic art of drumming in Johor Baru, was celebrated with two mega drum shows in the 5th International Festival of 24 Festive Drums 2018, last weekend. While fans of drumming were focused on admiring the drum troops and their energetic performances – both in the National competition (Aug 24) and the drumming showcase (Aug 25) – many in the audience may have missed my part in the drumming event. I’m not a drummer but just a storyteller and heritage-hunter who was keen to share the story about Tan Chai Puan, a cultural activist and one of the co-founders of this unique art-form which developed from a school activity into a worldwide phenomenon. Last year, while I was planning to add exclusive stories out of Johor into my collection of My Johor Stories to be published in, My Johor Stories: True Tales, Real People, Rich Heritage, I decided to feature Tan Chai Puan as a personality under Portraits. I cannot remember where I met Chai Puan but it was probably around 2009 when the Johor Baru Chinese Heritage Museum was officially declared open by then Johor Menteri Besar. His passion for promoting Chinese culture saw Chai Puan in multiple and complex roles that ranged from Teochew Eight Districts Association Vice-President, JB Chinese Association Committee Member, JB Chinese Heritage Museum Chairman, as well as the Southern University’s Head of Art Gallery and Director of Strategic Developments. Back in 2009, I was in the crowd to witness the dramatic dance and drama in a walk initiated by Chai Puan, which dramatized a part of Johor history on the arrival of the Chinese to Johor on the invitation of the Johor ruler. This dramatic walk, which aptly started from one end of Jalan Tan Hiok Nee where the OCBC Bank is located, was accompanied by a live performance of traditional Teochew music, and went all the way to the entrance of the JB Chinese Heritage Museum, which is situated at the opposite end of this road, close to the HSBC Bank. On that auspicious day, Jalan Tan Hiok Nee was declared a Heritage Walk by the Johor state government. Over the next three years, Chai Puan, who was Chairman of the Tan Hiok Nee Heritage Walk Committee, organised weekend cultural activities, shows and guest artiste appearances, for the public and this brought new life into JB’s heritage quarter. Chai Puan made the effort to invite me to these weekend events and because he’s conversant in English, he painstakingly explained the significance of each performance/event to me – as most of the commentary was in Mandarin/Chinese dialects – and helped me to better appreciate Chinese culture and heritage in JB. He was instrumental in letting me get a good grasp of Chinese culture here and this went a long way to guide me as I wrote and published many cover and centre-spread stories about JB culture heritage in the (now defunct) Johor Streets, a pull-out section of the New Straits Times. While most of the Chinese media may have full-page, detailed reports about Chinese heritage events, I was then, probably the only writer who shared about such local events in the English media. It was my privilege to let Chinese readers who are not proficient in reading Chinese, to finally gain a further insight into the rich culture and heritage of the Chinese in JB. My working relationship with Chai Puan continued into learning more about the Teochew culture through the Teochew Lunar 303 (Teochew: chiak moy thoy hee) annual celebration and the founding of the 24 Festive Drums here. 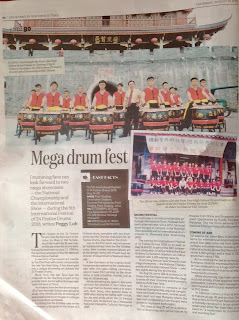 Since 2012, I shared the pride of the 24 Festive Drums when the biennial International Drum Festivals started in JB. As Chai Puan shared his stories with me, I could write exciting and accurate stories that were published in Johor Streets, to literally drum up more interest in this proudly Johor-born tradition. In 2016, I was invited by Chai Puan to participate with the Johor Baru Tiong Hua Association to provide the English version to publish a tri-lingual (English, Chinese and Malay) souvenir book on the Johor Chingay. I shared a quiet joy and pride with the Chinese community in Johor when a hardcover version of this limited edition book was presented to His Majesty the Sultan of Johor when he graced the Johor Chingay street parade that year. One of Chai Puan’s recent roles is Chief Coordinator of the task force to study how the Johor Chingay parade may be listed with UNESCO as a World Intangible Cultural Heritage. As I was well acquainted with Chai Puan’s cultural achievements for Johor and the nation, it was only natural for me to include him into the Portraits section of my book. When I finally pinned this busy-man-who-wears-multiple-hats down for a one-to-one chat-interview, it was already 5 March 2017. I still remember it was a bright Sunday afternoon when we sat down for a drink at Roost at Jalan Dhoby, a café significantly situated in JB’s heritage quarter. At the very start of our chat, Chai Puan frankly declared that unlike other media who pursued him for details about culture heritage events, I was the first to talk to him about “the man” and his life story in relation to the development of culture and heritage here. Chai Puan, who is familiar with how an interview should go, is also a writer and poet who contributes his Chinese articles to various publications here and in Singapore. And because he has such an eventful life with such a complex role, he came prepared with a broad sheet of white paper to write/draw out details and illustrations, to help me better understand his story. So it was a most beneficial time together as Chai Puan shared with me many interesting anecdotes and details, most of which I have written in my story on Tan Chai Puan, cultural activist, under the Portraits section in my book. At my book launch event on 15 July 2017, I had great pleasure to present Chai Puan with his personal copy of my book, My Johor Stories: True Tales, Real People, Rich Heritage. This year, as the 24 Festive Drums celebrated its 30th anniversary since its founding on 12 June 1988, Chai Puan invited me to join them in a small event held at the forecourt of the Johor Gu Miao or Old Temple. At the close of this anniversary celebration event, he announced details for the 5th International Festival of 24 Festive Drums 2018, planned for Aug 24 & 25 at the Pasir Gudang Indoor Stadium. Between June and August, I had the privilege of getting regular updates from Chai Puan who was thrilled to share with me about how the work was progressing in his promotion of the Drum Festival in the city. presented to YB Liow Cai Tung! For the first time in the history of the 24 Festive Drums, Chai Puan managed to share the pride of this Johor-born heritage with the non-Chinese-speaking community on a larger scale. This was made possible with the cooperation of the JB City Council and Pasir Gudang Municipal Council as well as main and co-sponsors, who supported the event with wide publicity throughout the city particularly from LED lighted billboards, buntings and banners. Meanwhile I worked with Chai Puan to get the event details published in a full-page story (NST Aug 16) on the coming Drums Fest in Life & Times Jom, a pull-out section of the New Straits Times, which was distributed nationwide and online, to drum up more interest with the non-Chinese community. Think City Johor Baru also played a significant role in encouraging more interest in this drumming art-form by hosting an event with non-Chinese-speaking media, tour agents and heritage enthusiasts. At this event, graced by Johor Women Development & Tourism Committee chairman, YB Liow Cai Tung, Chai Puan presented a brief introduction on the 24 Festive Drums and showed how it has reached an international audience since its humble beginnings here. After the thrilling National Championship competition on Aug 24, the 2-day Drum Fest for the 30th anniversary celebration of the 24 Festive Drums was at its peak on Aug 25. The VIPs and dignitaries on Day 2 included YB Liow Cai Tung, representative from Department of National Heritage, Khalid Syed Ali, Singapore Consul-General in Johor Baru, Rajpal Singh, Pasir Gudang Municipal Council president, Hasrin Kamal Hashim, Malaysia 24 Festive Drums Association deputy president, Bernard Goh, and JB Tiong Hua Association president, Datuk Seri Tey Kim Chai, among others. presented to YB Liow Cai Tung. In our regular chats, Chai Puan and I had talked about my book that featured him as an exclusive story in the Portraits section and we agreed that it would make a meaningful gift for presentation to the Guest-of-Honour. I remember telling him that stocks were running low at MPH Bookstores nationwide and only a few more books were available at their JB City Square outlet. In all his busy-ness, I guess he may have missed out on this. However at the Aug 25 event, I was pleasantly surprised and deeply humbled when Chai Puan honoured me by presenting my book, My Johor Stories: True Tales, Real People, Rich Heritage, to the VIPs, YB Liow Cai Tung and Khalid Syed Ali. When the event MC, Rahim, made the announcement in English, some of my friends who were in the audience, were also taken by surprise. In the presentation, the VIPs received a fruit basket, an event plaque and my book – it cannot be seen – because it was hidden behind the plaque! I trust YB Liow and En Khalid will derive much pleasure from reading about Chai Puan and other stories under Memories and By the Way, filled with my recollections on Johor personalities, my family as well as JB culture and heritage. Nevertheless, it was indeed a moment to treasure because I had somewhat of a small but significant part in the 30th anniversary celebration of the 24 Festive Drums! Drumming and drama, billowy pantaloons and glittering costumes, smoke and lighting effects as well as gravity-defying feats – all this and more helped each participating drum troop to have an edge over the others in the National Championship competition. On Aug 24, ten drum troops – the top two troops who qualified from regional competitions for the 24 Festive Drums – geared themselves up to give their best performances to the judges and to thrill their supporters and fans of drumming in the 5th International Festival of the 24 Festive Drums 2018. Each troop are already winners as they have earned their place as finalists to compete in the National Championship after winning in regional competitions held in the North, Central, South, East Coast and East Malaysia. The drum troops from the Northern Region are Jit Sin Independent High School, Penang and SMJK Dindings, Lumut, Perak. The choreography in each performance never fails to impress! Drum troops from SMK Chung Hwa Wei Sin, Kuala Terengganu and SMJK Chung Hwa, Kota Baru represented the East Coast Region while the Central Region was represented by drum troops from Tsun Jin High School, Kuala Lumpur and the University of Nottingham Malaysia. The drum troops from Foon Yew High School, Johor Baru and Chung Hua High School, Seremban represented the Southern Region while the drum troops which represented East Malaysia came from Yu Yuan Secondary School, Sandakan and SMK Jalan Arang, Kuching. Another creative stance in the choreography! I’m sitting behind the row of judges and even though I may not fully understand all that was being announced in Mandarin, I am familiar with the National competition and can figure out what is going on. Working closely with Tan Chai Puan, the co-founder of the 24 Festive Drums’ art of drumming, I’ve had the privilege to be part of the drum festivals since 2010 through events organised for local drum troops to compete in the National Championship and international drum troops to showcase their drumming skills. The drum festivals were first held in the MBJB Indoor Stadium at Jalan Tebrau, a stadium which has since been demolished to make way for development. I can still remember how the stadium was bursting with people, where the parking facilities were horrendous and the drumming within the small stadium, was simply eardrum-shattering. As interest in the drums festival developed and attracted more participation, the subsequent festival needed to accommodate a larger audience. So the fest was held in the modern and more comfortable Educity Indoor Stadium. To celebrate the 30th anniversary of this art of drumming that was founded in Johor Baru in 1998, the mega drum festival planned over two nights, will be held in the Pasir Gudang Corporation Stadium, an indoor stadium with 2,600 seating capacity. From as early as 6.30pm, the stadium is filling up with fans of drumming, supporters, friends and family members who have come from the nation’s various regions by the bus-loads to cheer their teams on. Over the years, the judging criteria of the regional and national competitions for the 24 Festive Drums have gradually risen in technology and sophistication, and I join the audience to wait with eager anticipation for the judges to share their scores after each performance. Likewise, each drum troop’s performance has also risen to new and creative heights of style, costumes, choreography and the use of modern technology and props. After each performance, each judge will take a turn to raise his hand which is holding the score arranged in flip-cards, for the announcer to read it aloud and then turn it about to face the audience to let us see the numbers. The responding roar of claps and cheers from the audience increases in tandem with the scores announced by each of the judges in the panel until the total score is tallied up by the technical judges – who may minus any points for any discrepancies – before the final score is announced. A judge representative will then stand to lift up the final score in larger flip-cards to show the audience and turn around to show the participating troops, seated nearby. This final score will instantly be flashed onto the wide screen at the back of the stage for the audience to see. I liked how the judging is being carried out with obvious transparency and as the audience noted the scores, it left no doubt as to which drum troop should emerge the ultimate champion in the National competition. As more Malaysians are becoming aware that the 24 Festive Drums’ art of drumming is a Johor-born and an authentic Malaysian cultural heritage, there is an increasing sense of pride in being involved with this art-form. In 2009, the 24 Festive Drums was recognized as a Malaysian National Intangible Cultural Heritage. As this art of drumming was created based on the ancient Chinese heritage of the 24 Solar Terms – listed by UNESCO as an Intangible Cultural Heritage of Humanity in 2016 – it is possible that someday soon, UNESCO may similarly recognise the 24 Festive Drums as it shares a vital link with the 24 Solar Terms! Ka Ki Nang, they climbed up to drum on a heap of drums! While this achievement may be something to look forward to in the future, I join the audience in the stadium to clap and cheer on the drum troops who are performing to the best of their ability on this national platform for drummers. Over the years, I’ve observed how the choreography and presentation themes have evolved with advancing sophistication and professionalism. The performances in this drum fest stands out with the clever use of music, vocals, spotlights and smoke effects that work together to evoke exciting scenarios around the skillful beating of drums. There is never a dull moment as troop after troop stormed onto the stage to perform with style and vigor, dressed in an array of colourful and creative costumes, until the top three troops are obviously identified by their highest scores. The drum troop from Foon Yew High School, Johor Baru emerged as champion and wins RM5,000, while first runner-up Chung Hua High School, Seremban, wins RM3,000 and the second runner-up Tsun Jin High School, Kuala Lumpur, wins RM2,000. While it is a friendly competition, the tension is palpable in the stadium as the ten drum troops and their supporters eagerly anticipate the results for the prestigious titles for the Best Technical Performance, Best Music Composition, Best Formation and Best in Creativity. Before the crowd becomes too restless, Tan takes over the MC’s microphone to share his comments about the remarkable and superior quality of drumming presentations which made it necessary for the judging panel to retire into a separate room and spend a longer time to deliberate on the results for the winners of the subsidiary titles. Then comes the moment we have all been waiting for: The award for Best Technical Performance and Best Music Composition went to Foon Yew High School, Johor Baru, while Chung Hua High School, Seremban, won the award for Best in Creativity and SMK Jalan Arang, Kuching, won for Best Formation. For the Best awards, each drum troop wins prize money of RM1,000 per title. The event was graced by Guest-of-Honour, Deputy Minister for Education, YB Teo Nie Ching, and other distinguished guests including representative from Department of National Heritage, Khalid Syed Ali, Pasir Gudang Municipal Council president, Hasrin Kamal Hashim, Malaysia 24 Festive Drums Association deputy president, Bernard Goh, and JB Tiong Hua Association president, Datuk Seri Tey Kim Chai. The 5th International Festival of the 24 Festive Drums 2018 was presented with the support of main sponsors, Forest City and R&F Princess Cove, the JB Tiong Hua Association, the Pasir Gudang Municipal Council and other valued sponsors. If you enjoy the feel and flavour of freshly brewed coffee and the traditional taste of Kaya Toast sandwich, spread with a generous dollop of Hainanese Kaya and a slab of melting butter, then head over to the Toast Box. From as early as 7am every day, you can sip your morning cuppa at Toast Box, now opened on the street level of Zenith Lifestyle Centre along Jalan Trus and just one floor up from its Jalan Wong Ah Fook entrance. And if you are still up and about in the wee hours of the morning before 3am, Toast Box will still be open to serve you a range of hot food and snacks with cool and warm drinks. Besides Kopi, Teh, Kaya Toast and soft-boiled eggs, there is a menu that includes Peanut Butter Thick Toast and popular Asian delights like Laksa noodles, Curry Chicken with rice or bread, Mee Rebus as well as traditional banana-leaf wrapped Nasi Lemak and Mee Siam. Now you can savour your warm brew in a modern and comfortable kopitiam with its décor, reminiscent of the charm of the coffee-shop culture in a bygone era. The design concept in Toast Box reflects a significant era during the 60’s and 70’s where people gradually moved out from living in kampung or villages into public housing areas. The décor has mosaic tiles, window grilles, colours and repeated patterns that are reminiscent of that era as people embraced modern living and forged new relationships. And when it was the norm for people of every race to sit down to eat together in the neighbourhood kopitiam. Watch the Coffee Master pour without wasting a drop! I like the entire white-washed look and am more than glad that they have left out the ubiquitous spittoon that was typically placed under each table in old coffee-shops! As I admire the décor, I notice a short queue of customers lined up in front of the order counter. Then I realise that the quick-service concept in this Toast Box outlet means you should place your order and pay at the Order counter and collect the order from the Pick-Up window. In some instances, like when there is a crowd, the staff will serve orders to your tables. While waiting in the queue, I watch the Coffee Master brew traditional Nanyang Kopi from their signature blend of coffee powder, using the old-fashioned method where the dark brew is strained through a cloth strainer. It is then expertly “pulled” from the pot in a wide arc and served in a fragrant, frothy cup. In the same way, freshly brewed tea with milk is “pulled” in the tradition of teh tarik and served with a delicious frothy head. When it’s my turn at the Order counter, I also spot a small selection of popular kueh like Seri Muka and Kueh Koleh Kacang along with two choices of curry-puffs – curry chicken and sardine – within the showcase that also has banana-leaf wrapped items like Nasi Lemak and Mee Siam. As I’m trying to place my order, I cannot help being distracted by the display on their modern cash register which has a changing screen with poster ads to promote the various set meals available at Toast Box. While waiting to collect my orders, I watch the kitchen team as they busy themselves with toasting slices of bread over a modern electric grill, which has replaced the traditional charcoal grill. Another team member is moving with speed and dexterity, spreading toast with Hainanese Kaya and adding a slab of butter, which he skillfully sliced off a pillar of butter, resting on a plate. I watch how food is being prepared and quickly served to waiting customers as the open-plan design of this modern kopitiam offers customers a clear view of the action in the kitchen. Since the Toast Box started in 2005 as a stall unit at the Food Republic food-court in Wisma Atria, Singapore, it has gained a loyal clientele who enjoy dining in the modern replica of a traditional coffee-shop. From Singapore, the Toast Box brand has expanded abroad with outlets in China, Hong Kong, Taiwan, Thailand and the Philippines as well as Malaysia. While the outlets here are mainly in Subang Jaya and Putrajaya, more outlets will soon be opened in the Klang Valley as well as in Johor Baru. Toast Box is at Lot 01-11 Zenith Lifestyle Mall, 82-C Jalan Trus, 80000 Johor Baru. Open daily from 7am to 3am. Enjoy the Mega Drums Fest! Join the Charity Sunset Run 4 Fund!